A security deposit is there to cover damages and shortfalls left by tenants, but there are rules in place to make sure you can get it back. Any tenancy that started after 6 April 2007 requires landlords to register deposits in a government-backed tenancy deposit (TDP) scheme. Landlords must place deposit funds in a TDP scheme within 30 days of receiving them. There are two ways a landlord can use a TDP scheme. A custodial scheme means that your deposit is held separately by a third party, while under an insured scheme, the landlord keeps hold of your deposit, but a third party insures it. When can I get it back? No money can be removed from a TDP scheme until the tenant and landlord are in agreement. Once the landlord and tenant agree on how much will be deducted, deposits will be returned within 10 days. Some schemes even pay interest on the sum. A landlord can make reasonable deductions for anything that is damaged, lost, broken or needs to be cleaned at the end of a tenancy. Essentially, anything that causes them a financial loss. Anything else, for example if you had a party when your contract said you could not, is not a legal reason for the landlord to try and withhold your deposit. How can I avoid disputes? The best way is to get an inventory. 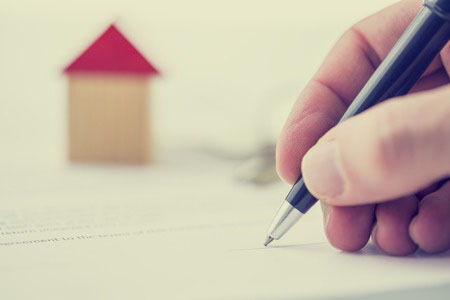 Landlords and agents usually provide these before you move in, and it's important that you check them thoroughly before signing. It's also advisable to take photos of the condition of the property when you move in and when you leave so you have proof of the state of repair/cleanliness. It's equally important to keep track of your finances to ensure that all of your payments are processed correctly during your tenancy. You can use our free finance software to tag rent payments, so you'll know if any are missed or don't go through. You can also use it to keep an eye out for when your deposit is returned. How do I know the charges are fair? Ask for receipts or estimates for everything that is being claimed from your deposit. If anything seems unreasonable, research options yourself and question the landlord's choices. If a landlord is unfairly withholding your deposit, you can take them to court to reclaim the money, although you will have to pay a court fee. It is usually better to negotiate, or use your scheme's alternative dispute resolution (ADR) service. But remember, once both parties agree to an ADR service, the decision is binding and you may not be able to go to court if you disagree. Remember, you are legally obliged to pay rent, so withholding rent payments is not a sensible response. The landlord would be within his/her rights to challenge you in court to retrieve the costs.